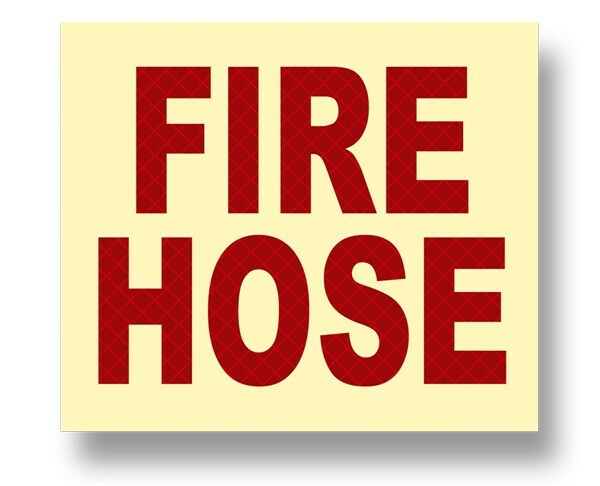 Photoluminescent “FIRE HOSE” sign with retroreflective red letters, 7” x 6”, horizontal layout. Flexible peel & stick products employ a long-lasting pressure-sensitive adhesive film. The durable high-tack adhesive adheres to virtually all surfaces.